Have you forgotten the password to your iPod Touch? Apple equips the iPod Touch with a special passcode feature which allows your data to remain secure in the hands of unwanted individuals. 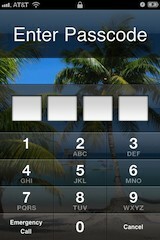 After 6 failed password input attempts, the person is greeted with ?iPod touch is disabled? and prompts the user to try again later. After even more failed attempts, the device becomes disabled. Although this is a great security feature, it can also pose a powerful threat to its rightful owner who accidentally forgets the correct passcode. If you?re facing this dilemma, here?s how to reset iPod Touch password. Your iPod Touch is now restored to factory default status, so you can begin using it again. If your library was backed up, proceed with the reloading process and get back to having fun with your device.